July 21, 2011, my bus arrived near Shinjuku Station. Because of the cramped seating, I couldn’t sleep well. I ended up with a terribly stiff neck, but I somehow managed to sleep a little. When I stepped off the bus, I was feeling apprehensive and bewildered. The first thing I did was to find a McDonald’s, which is always a beacon. I could easily find it because it is ubiquitous. Because I didn’t know what to do, I got a seat in McDonald’s and calmed myself down. Using my iPhone, I got myself oriented and scheduled the following ten days. It wasn’t an arduous task with the latest technology (I am thankful for being born in this generation). Yes. I came here for volunteer work. I picked up my phone to figure out how to get to Nishinippori, where I would do the volunteer work. I went to the station. 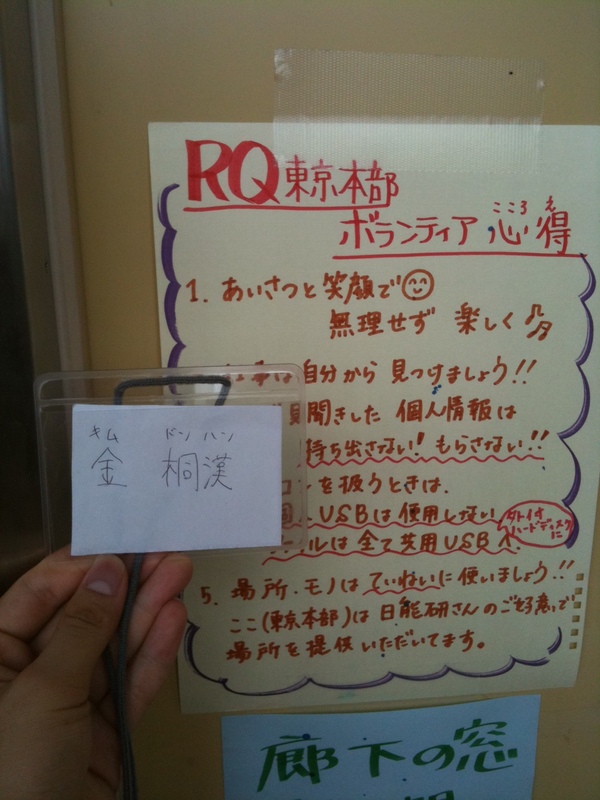 I tested myself whether I could make myself figure out the way to Nishinippori or not. The result was… I almost did it, but I double checked with the Information Center. I just wanted to see if I am mature enough to be independent. I went to the correct platform and I waited for the train. Finally, I got Nishinippori. I was a little anxious about how to start up a conversation when I arrived at the volunteer center. Well, I thought I would not know before I jump in, so I took the plunge. The first thing I did was to sort the supplies by the order of size or color. 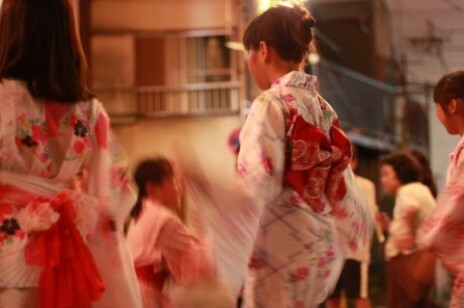 There are several summer festivals in Japan every year. 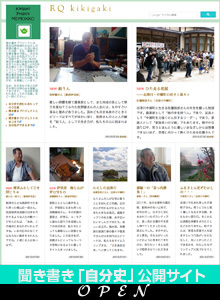 However, because of the disaster, the people in the northeast prefectures are not able to enjoy them. Their traditional festival garb was wiped away by the tsunami. Because of this, many people from different prefectures sent or donated the clothing. And the supplies were what I was sorting. While I was sorting them, many thoughts came up in my mind. Four months have passed since the disaster. The media are not interested in the disaster anymore (at least it seems). I thought that the problem which once had been world-wide, now has become only local. But this simple task has changed my mind. So many people are still worrying about the people there and donating things. Every single item had a handwritten note. Those almost invisible warm sincerities put in the supplies have moved me. And I thought this is how love works. There could be many definitions for the term, love. But in this case, love is different from those between couples or among families. This is the love among the entire human race. Maybe it was an epiphany, which affected my mind significantly. I reserved a seat on the bus going to the northeast. Is this a big step towards the next epiphany? (I’m not intentionally trying to get it but I wish to). The 25th will be the day of departure. Excited while the other part of me feels worried. It was totally a meaningful day. I can’t wait for tomorrow. 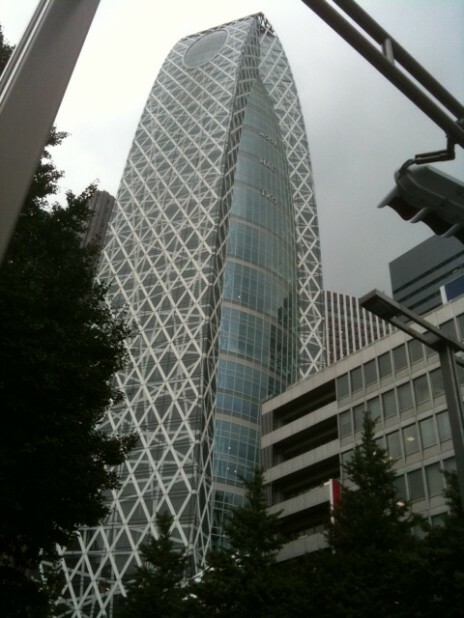 This entry was posted in tokyo-en by admin. Bookmark the permalink.